UFC is returning to business this Saturday (March 23, 2019) with the UFC Fight Night 148 event which takes place inside Bridgestone Arena in Nashville, Tennessee. 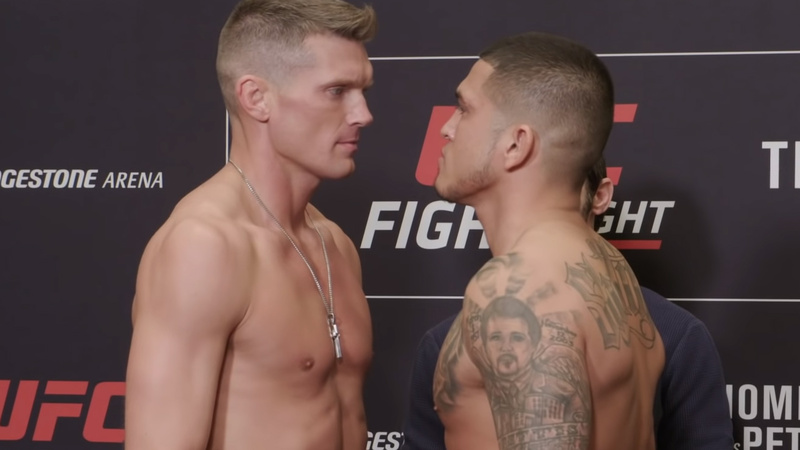 The main headliner bout features a top welterweight contender Stephen “Wonderboy” Thompson who’ll look to rebound from decision loss against Darren Till when he clashes against former lightweight champion, Anthony “Showtime” Pettis, who’s making his debut at 170-pound. Meanwhile, in the co-main headliner Curtis “Razor” Blaydes will also look to get back into the winning column when he takes on Justin “Big Pretty” Willis. The promotion held the UFC Nashville weigh-ins earlier on Friday, and at the conclusion, all the fighters have their final face-off.